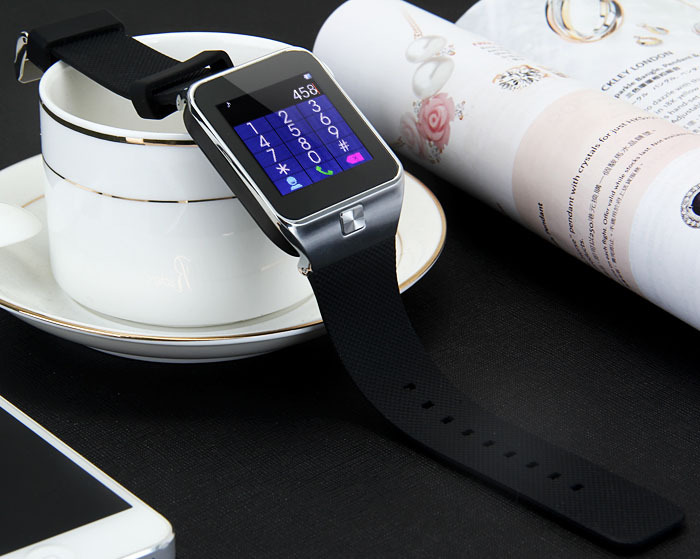 Smart Watch & Phone TWO is interconvertible to Bluetooth mode and SIM card mode, allowing you to slot in a micro-SIM card on board or connect to your phone via Bluetooth. GSM unlocked and works with any gsm wireless carries in the world such as at&t, t-mobile, straightalk, Orange, Vodafone, you name it. 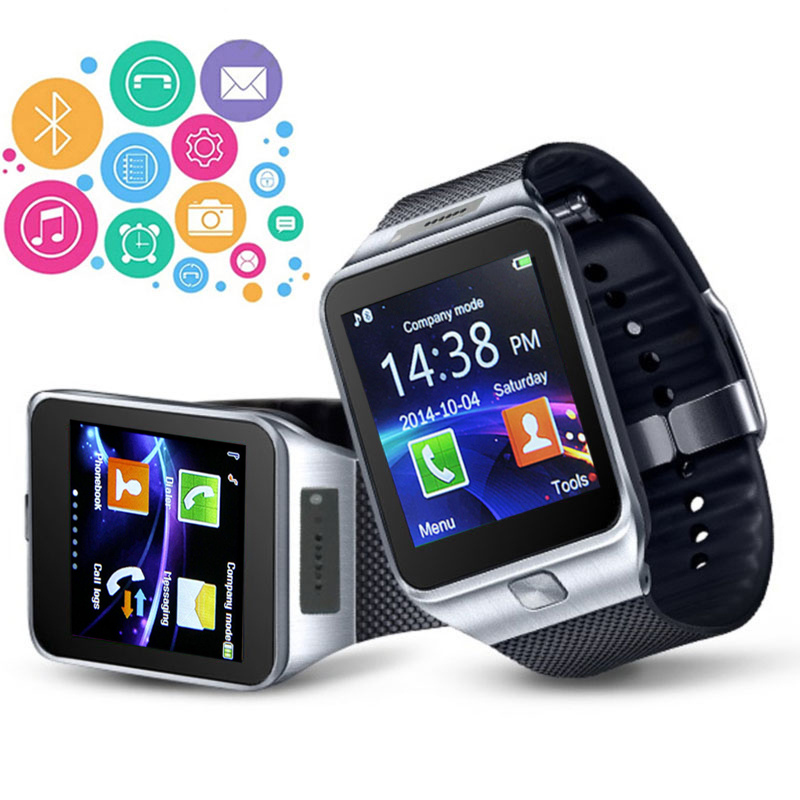 Smart Watch & Phone TWO also smart enough to work and function without sim card and it is compatible with all Bluetooth devices. 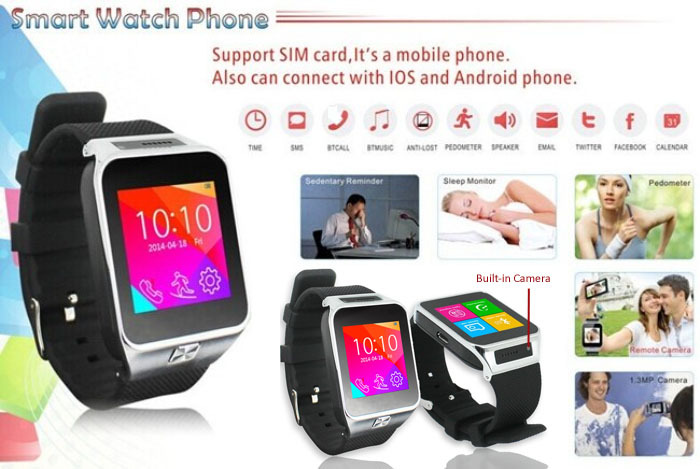 Smart Watch & Phone TWO syncs with Android 2.3+ and iOS 4.0+ smartphones to download phonebook and call history. Stream music from your Bluetooth device and enjoy quality sound through Smart Watch & Phone TWO speaker. Use Smart Watch & Phone TWO remote camera shutter to take picture for you and your group from your phone by yourself without others help. Forgot your phone on the desk? Misplaced it around the house? Afraid it might be stolen? 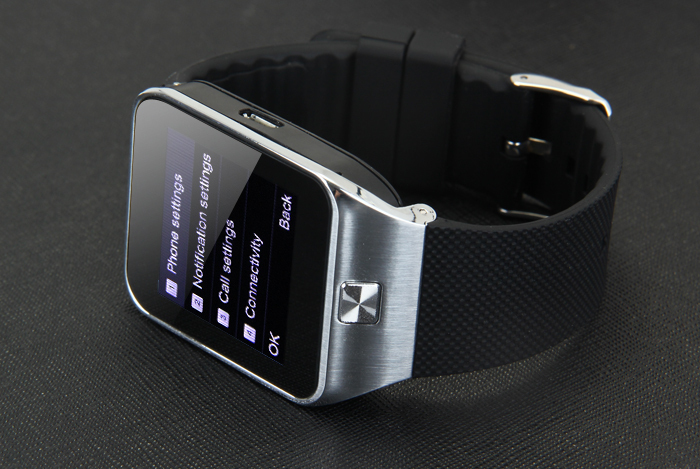 Smart Watch & Phone TWO alerts you if your paired device is away. 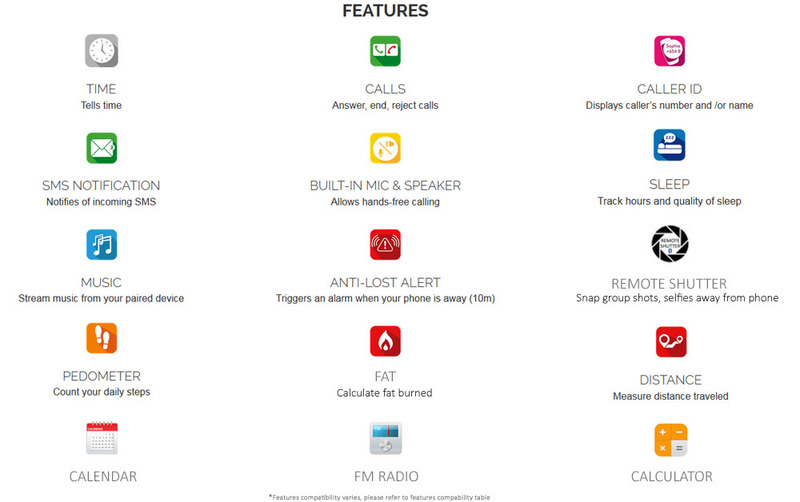 Smart Watch & Phone TWO also features a built-in pedometer that tracks your daily steps and calories burned. 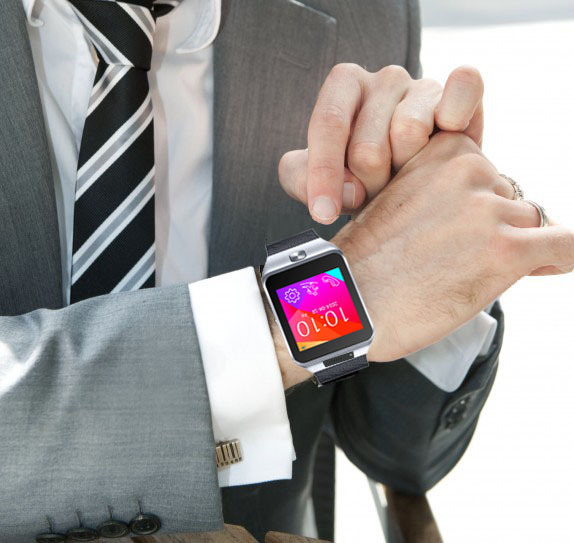 Smart Watch & Phone TWO will help you stay motivated and active throughout the day! 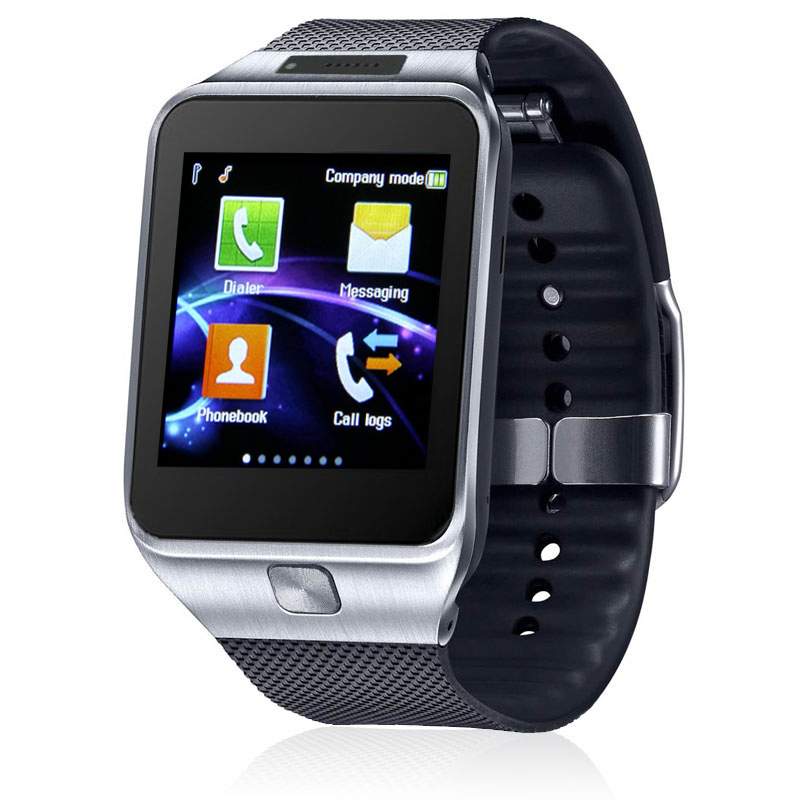 Ringtone & Vibration - When incoming calls, Smart Watch & Phone TWO will ring or vibrate and show incoming phone number. 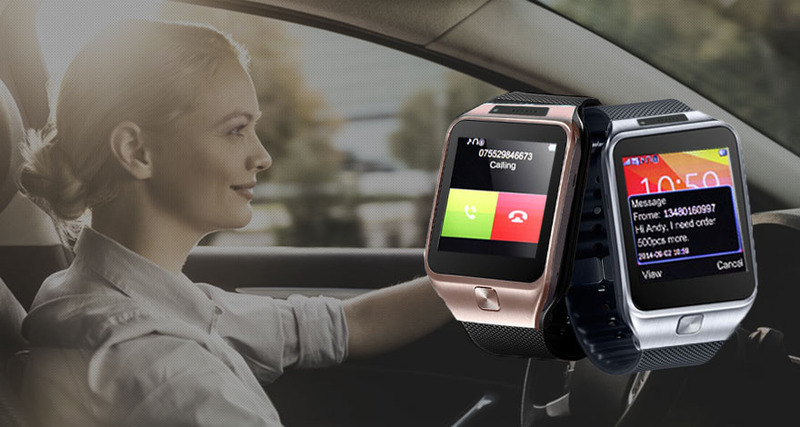 You can answer the call from Smart Watch & Phone TWO instead of smartphone and it’s unnecessary to take out your smartphone, which ensures no missed calls. Built-in Camera (New!) - A really clever function with this watch phone is that it can take photos directly from your wrist. 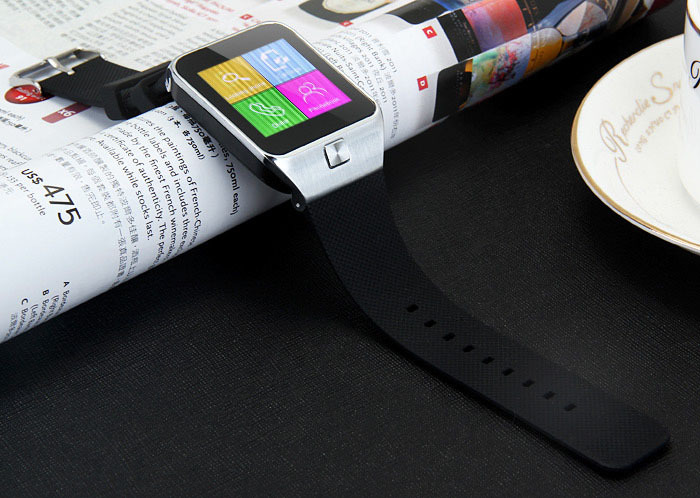 Synchronizes Phonebook - After connecting smartphone via Bluetooth, Smart Watch & Phone TWO can synchronize phonebook of the smartphone, so contacts can be consulted on the watch instead of the smartphone and you can keep the smartphone in the pocket. 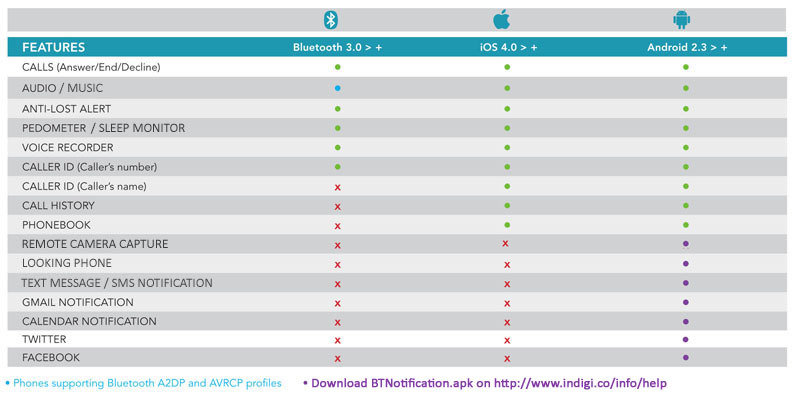 Synchronizes Messages* - After installing BTNotification.apk on your smartphone, Smart Watch & Phone TWO will notify incoming messages which can be viewed on the watch, and also remind email, Skype / whatsapp messages, etc. worry about it when you have the smart watch which makes smartphone ring after you activate Looking Phone function so that you can find the phone easily. Pedometer - The watch can record walk steps whenever and wherever, view current walk distance, fat and calorie consumption. is, which reminds you of improving your work and sleep schedules. A good sleep makes you energetic and vigorous a whole day. function to keep you healthy. 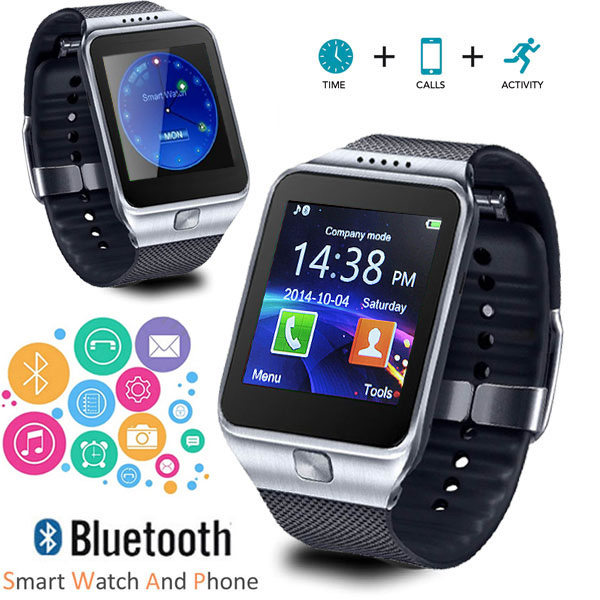 Additional Features: MP3 Player, Bluetooth, FM Radio, Calendar, Alarm, Text Messaging, MMS, Calculator, Pedometer, Sleep Monitor, Sound Recorder, Image viewer, Remote Camera Capture etc.